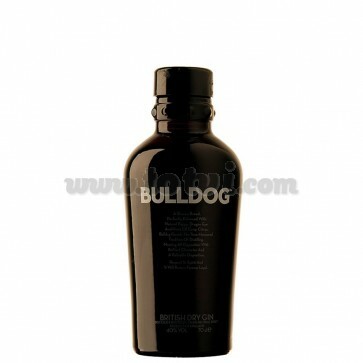 Bulldog is a gin elaborated in London. 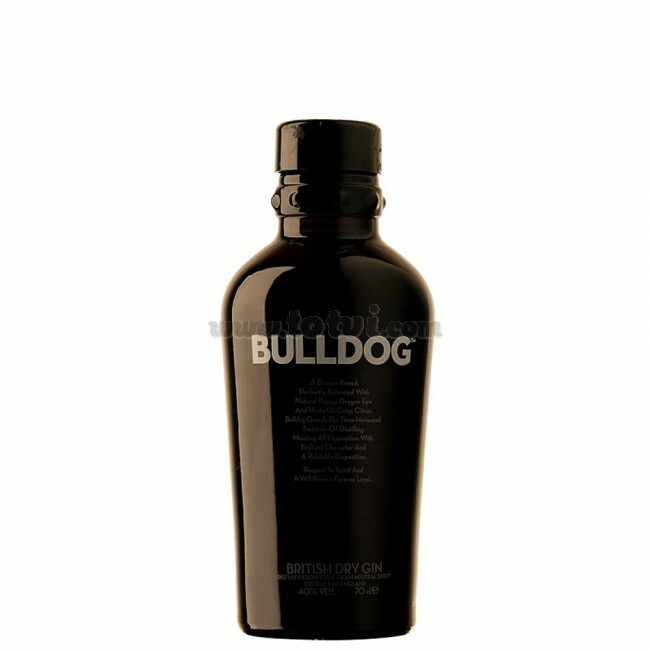 London Dry is the most classic style of this gin although it is fresh, almost floral. Very refined gin, the result of a quadruple distillation in cobra still and triple filtration, is an ultra premium gin. Fresh gin, almost floral. It has a very mild flavor, appetizing and very balanced. It has classic botanicals such as lemon, almond, lavender, juniper, cassia, angelica and licorice, but also with more exotic ones such as poppy, lotus leaves, coriander and longan. This gin can be accompanied by the following tonics: Schweppes Azahar and Lavender, Fever Tree, Indi, Markham, etc. and can be flavored with the following botanicals: lemon, orange, licorice, cinnamon, coriander, lime, pink pepper, blackberries, raspberries and star anise.